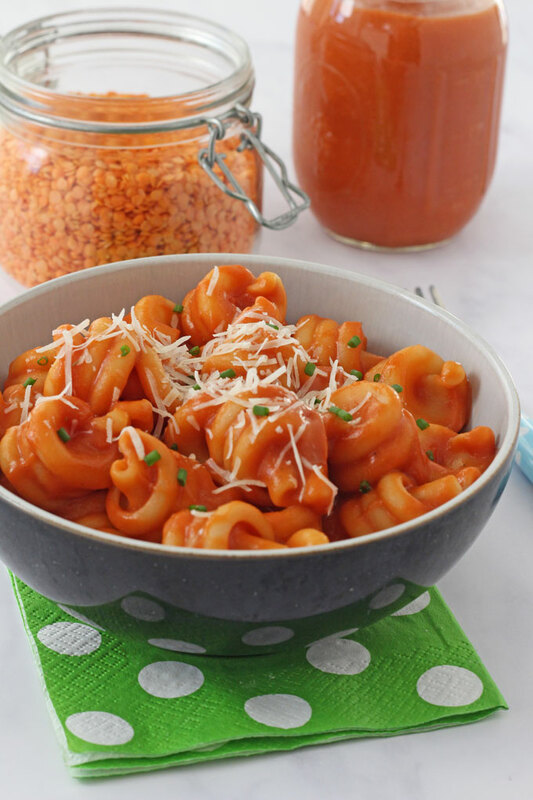 A delicious tomato pasta sauce made with red lentils and packed with protein and fibre. 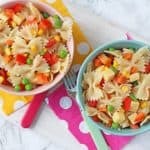 A great way to get some extra nutrition into a simple kids pasta dish! 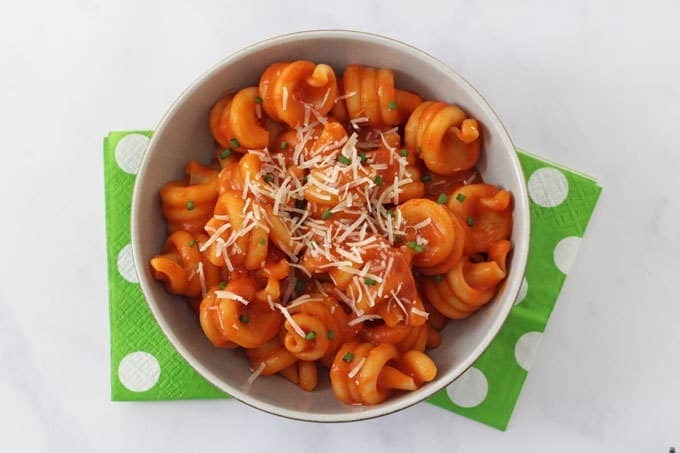 If there’s one meal I know my kids will consistently eat, it’s pasta! And the more simple the better! 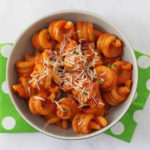 They love nothing more than a big bowl of pasta with tomato sauce, topped with some grated cheese and so I’m always looking for ways to sneak in some nutrition to their favourite dish. 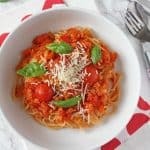 For years now I’ve been making my Hidden Veggie Tomato Sauce and earlier this year I started making another version, this time with hidden lentils. Lentils are an incredibly nutritious food to feed to kids. They are packed with fibre and help to stabilise blood sugar levels after a meal. They are also a great source of plant-based protein and B Vitamins too. All these ingredients go into a large saucepan. The mixture is brought to the boil and then simmered for 15 minutes until the lentils are soft and cooked through. 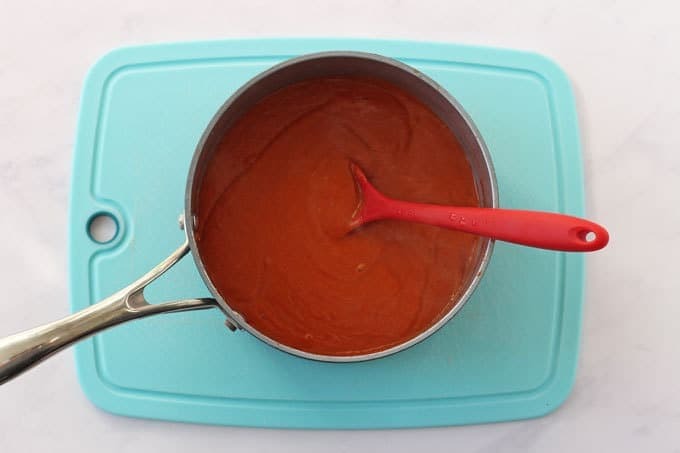 You can then use either a stick blender or a stand blender to blitz the sauce, making it completely smooth. Then simply mix the sauce in with some cooked pasta, topped with a little grated cheese if you like and serve! 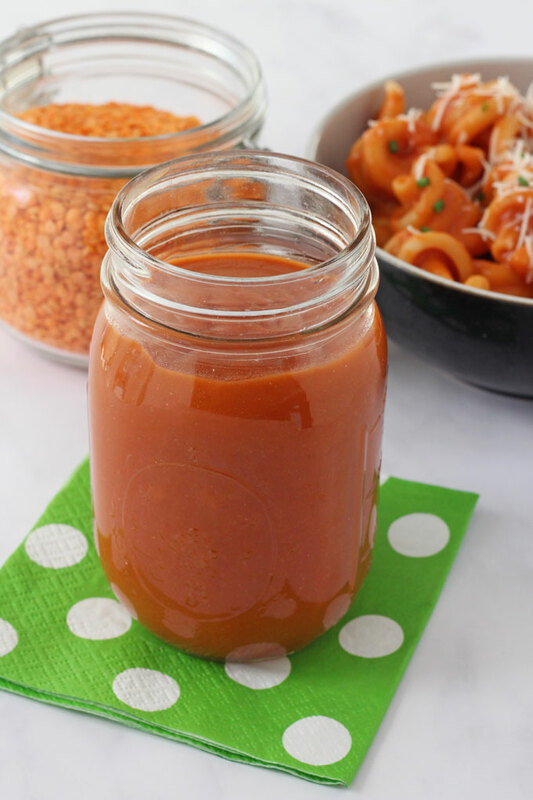 My recipe makes a big batch of the sauce so whatever is left over can be stored in a covered jar or container in the fridge for up to 3 days or transferred into freezer bags or containers and frozen for up to 3 months. 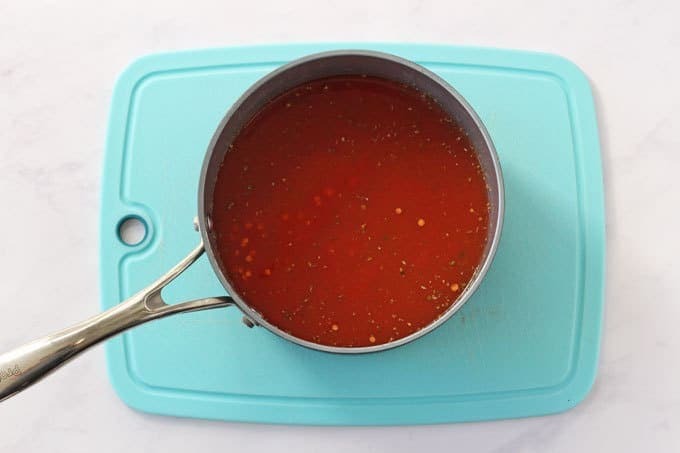 To defrost leave in the fridge overnight or put the frozen sauce into a saucepan and gently heat until completely defrosted and warmed through. 1. Feel free to experiment with lots of other herbs and spices. Sometimes I had a dash of smoked paprika. If your kids like spice a little bit of chilli tastes great too, aswell as herbs like rosemary, thyme, etc. 2. If you want to add some vegetables to this sauce then veggies like carrots, courgette, peppers will work really well. Add a little more stock to the recipe and cook and blend as normal. 3. 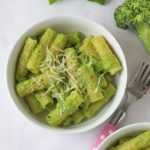 To make a creamier version of this recipe then add some cream cheese and grated parmesan cheese when blender. So delicious! 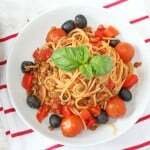 If you try my Lentil Pasta Sauce recipe please do leave me a comment and a star rating below. You can also share your pictures with me on on Instagram. I always love to see your creations! Add the passata, lentils, vegetable stock and oregano to a large saucepan. Bring to the boil, cover loosely with a lid and simmer for 15 minutes until the lentils are soft. 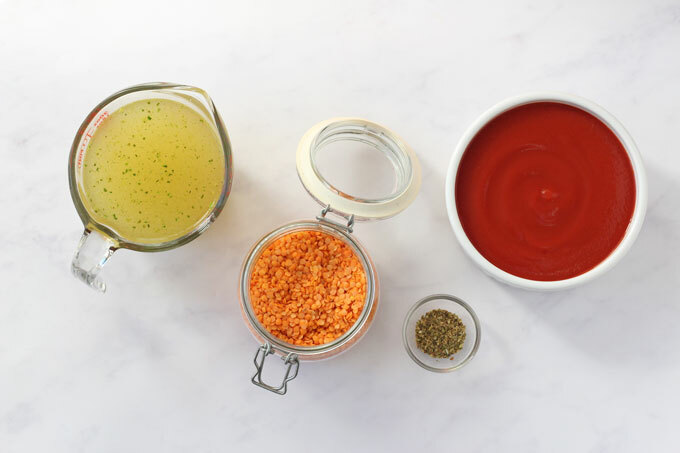 Use either a stick blender or stand blender to blitz the sauce until smooth. If the sauce seems a little too thick add some water until it reaches the right consistency. Season to taste with salt and pepper (skip this if serving to babies). Mix the sauce with cooked pasta and serve immediately. I have made this many times now. It’s delicious and healthy. Win win. Thank you for sharing!